There is a new phenomenon in the automotive world and it’s name is Tesla. For those who haven’t heard of this new automobile manufacturer, Tesla Motors builds high-end electric cars that have gained a great deal of popularity as well as the biggest share of the alternative fuel automotive market. But not everything about Tesla is peaches and cream. Their dealer network, for example, consists of employees and managers with no decision making capabilities. Every edict comes from the USA’s home office in Palo Alto which makes dealing with the company rather difficult, at least from a diminished value appraiser’s standpoint. It is for that reason that The St. Lucie Appraisal Company must charge a premium to prepare diminished value reports on Teslas. Tesla owners are typically upscale folks who expect a first-class level of service. Those expectations extend to the treatment they receive from insurance companies after their cars are wrecked by the negligence of others. Seeking fair compensation for diminished value and loss of use is part of it. Our methodology for preparing automobile diminished value appraisals is exclusive within the industry because we don’t rely on formulas, algorithms, ad comparisons, auto auction results or other short cuts to determine the amount of value lost after collision repairs. Each situation is unique and the only way to provide tailor-made reports is to query the people who actually do the buying and selling of these bad Carfax vehicles – new car dealers. It is important, of course, that the dealers who participate in our surveys know full well that the subject vehicles are not for sale of available for trade. This prevents insurance companies from alleging collusion or vested interest. This approach has made our company the best at what we do – diminished value and loss of use appraisals. Magistrates and mediators alike have recognized the validity of our reports because they are comprehensive and they aren’t complicated. We have seen many puzzled looks on the faces of judges trying to decipher formula-based diminished value appraisals. Insurance Company defense attorneys can instantly recognize which independent appraisals will stand up in court and advise their adjusters accordingly when it comes to offering fair settlements. We are rarely called upon to appear as expert witnesses in legal proceedings because our customers generally receive fair settlements that preclude taking civil actions. Tesla diminished value and loss of use claims should present no problems if appraisals are prepared correctly. That being said, we tell every prospective client that they will need two things – a good diminished value report and persistence. Follow the suggestions that we provide with respect to negotiating the claims process for an easier path toward a fair settlement. Getting back to Tesla Motors and the difficulty obtaining proper diminished value information for the owners of these cars. When we receive an assignment to prepare a diminished value appraisal for a BMW, Mercedes-Benz or Porsche, there is a nationwide network of dealers from whom we can obtain opinions. 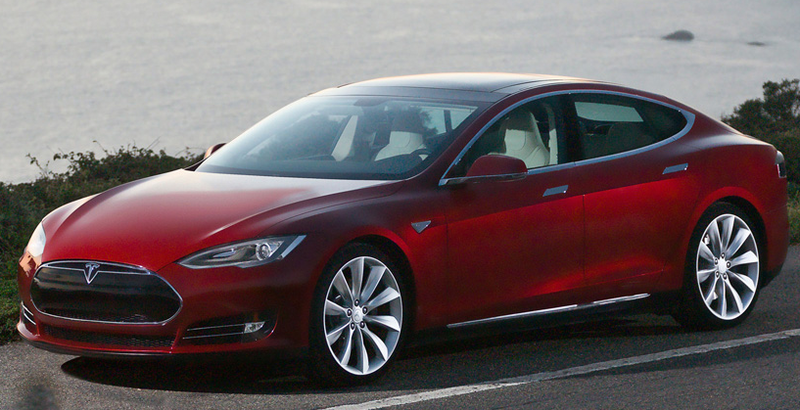 Not so with Tesla – calling a Tesla Motors dealership and inquiring about diminished value is literally useless. You will find plenty of salespeople who will be more than happy to sell you a car but none of these locations has anyone with any degree of expertise about how much less your car is worth after collision repairs. Every decision is made by someone at their Palo Alto, California headquarters or a satellite used car center located in Illinois. Therefore, obtaining the six verifiable quotes from Tesla dealers that we feel are necessary to populate an irrefutable diminished value report is impossible. To make matters worse, when we have been able to obtain quotes from Tesla, supervisors called us attempting to negate the quotes. I am not exaggerating when I write that the head of Tesla’s used car department was firm in his belief that, if repaired properly, cars do not suffer any diminution of value. A long conversation in which I patiently explained that diminished value is driven by used car buyers who simply won’t pay as much for previously wrecked cars fell on deaf ears. As an example of the odd responses we have received from Tesla – a 2019 Tesla S with an MSPRP of $90,000.00 that had been driven less than 100 miles before being involved in a collision suffered $41,000.00 in damages including to the unibody. The used car manager at Tesla HQ insisted that the company’s policy was to offer no less than a 5% discount on trade-ins as long as the car was repaired in a Tesla-certified body shop, which it was. The next day the owner of the car received an offer from Tesla to buy the repaired car for $60,000.00. Coincidentally, our diminished value deduction for that same car was $27,174.50. So where does this leave the Tesla owner when it comes to receiving fair compensation for diminished value and loss of use? Most independent appraisers use formulas, algorithms or online ad comparisons to arrive at numbers that don’t remotely represent the Tesla used car market. Should the car owner need to litigate, formula-based diminished value reports are never as effective as real-world evidence. The professional opinions of six unbiased sales managers at exotic car dealerships provides it. As all data provided is verifiable, insurance defense attorneys cannot object to their being hearsay. Finally, with regard to Loss of Use claims, it costs $250.00/Day to rent a Tesla S- approximately $175.00/Day on a long-term basis. A Loss of Use claim is made against the third-party insurer or, if the responsible driver is uninsured or under insured, against the UM portion of your own policy. Notice of your intentions should be given as soon as possible. It is common knowledge that a wrecked Tesla can take up to 60 days to repair. Of special note: It is not necessary to actually rent a car in order to receive compensation for Loss of Use. Call us at 772-359-4300 if you have any questions about Tesla diminished value and loss of use claims.